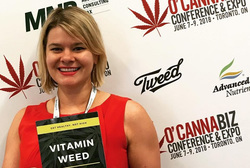 I coach women with chronic illness looking to get off prescriptions through cannabis. I help guide them back to their highest physical, mental, emotional, spiritual, and financial health. Have you worked with Michele? Tell your friends! Michele doesn't have any reviews yet. Michele hasn't submitted any articles.